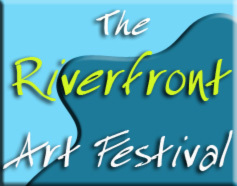 This weekend (September 17, 18, 19th) marks the 2010 Riverfront Arts Festival in downtown Columbus. The Riverfront Art Festival features a full entertainment schedule, including WaterFire and other local favorites including local jazz performances! The festival features over 150 local and national artists, who work in every medium from fine oil paintings and sculpture to affordable functional pottery and wearable art, and are on hand to tell you all about their work and their process.